Do you feel like your living space is lacking some style and needs a bit of a makeover? If it’s due to your living area feeling dark and not too spacious – feature roof truss may be the perfect solution for your home. Feature roof trusses not only create a more airy and spacious living area within your home, they’re also incredibly aesthetic. Opting for feature truss is a distinctive way to create additional space whilst also adding an attractive centrepiece into your home. 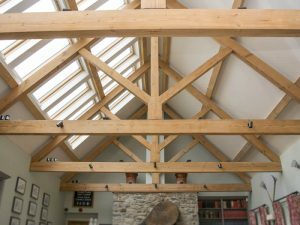 Oak trusses are often used within feature trussing, as this material creates a rustic, yet contemporary look within a building. Roof trusses are also surprisingly efficient to have installed, whether it’s within a new or existing building. Their ease of installation is due to a number of advantages. Roof trusses will arrive to your home pre-fabricated, which saves on any onsite labour costs. Their sizes and shape are highly customisable, so they’ll be tailor made to specifically fit your home or building precisely by skilled craftsmen. Not only are trusses decorative, they’re also incredibly practical. Roof truss will add necessary support to the roofing structure of your home. Expertly crafted from sturdy high quality timber, feature roof trusses are built to last the lifetime of your home. Often, many of us put off having work done to our homes simply because of the disruptions it can cause. Typically, roof truss can be installed into a home or building within a day or two. This incredibly quick installation time not only saves you money on labour costs, it also lets life carry on as normal without prolonged disruption. When selecting a roof truss manufacturer, it’s essential to select a company who is dedicated to your individual needs and requirements, and who offers expert advice on which style of roof truss would best suit your home. A good roof truss company will guide you through every step of the process, and take your ideas into consideration regarding the design of the roof truss. For those who want a bespoke and attractive centrepiece within their home which also adds space, light and value to the property, feature roof trussing is a superb option. Your unique and bespoke feature roof truss is sure to inspire (and perhaps be the envy of) any guests who visit your home. If you’re thinking of upgrading your kitchen, then it certainly pays to do the research first. You’ll have a good idea about what you want – knowing exactly how you like to use your kitchen, whether it’s for entertaining, relaxing, or purely for getting your chef hat on. Of course in the last decade since you last might of had your current kitchen fitted, appliances have come on leaps and bounds. With busy days, and short evenings you need something that’s going to make your food prep and daily tasks so much simpler. Take a look at our top rated appliances which can be fitted by your kitchen designer in Anglesey. 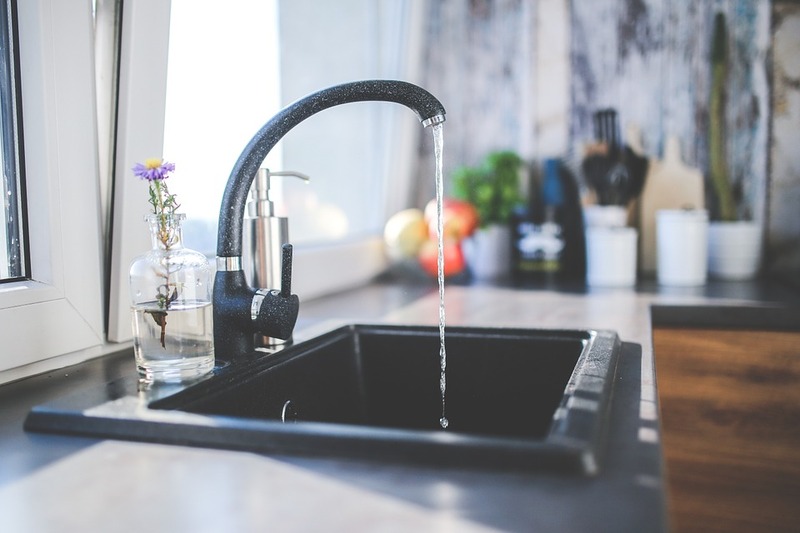 Quooker Tap – This kitchen revolution is a wonder for saving time waiting for large pans and bulky kettles to reach boiling point. The Quooker tap immediately dispenses boiling water as and when you need it – giving instant coffee a new name. It’s more economical than you think, costing only 3 pence per day to be left on standby usage. Very versatile, the same tap can be used for cold, hot or boiling water. Peeling tomatoes will be a treat using this! Electrolux Dishwasher – The super energy efficient A++ ranges from Electrolux are designed to blend in with your kitchen and deliver fantastic cleaning performance. Their smart AutoFlex programme adapts to the load size and level cleaning requires to offer a thorough clean whilst taking care of your delicate wine glasses. The satellite spray arm with five spray levels will reach every nook of your dish load. Samsung Washing Machine – The Samsung WW9000 delivers a smarter way to wash your clothes with an intelligent system that offers optimum washing conditions. The front touch screen allows you to find the right program easily, also with a one touch auto button for when you need to rush away. It comes with a handy app that shows you how your wash is doing whilst you’re away from home. The 10k load sensing capacity drum lets you wash up to 50 shirts per wash and the self-dosing detergent system knows exactly how much should be added depending on the weight of your load, saving you more money. Samsung Fridge Freezer – The best value fridge freezer under £350 is the Hitachi R-B360ERU43. This sleek fridge freezer with A* energy rating and LCD touch controls is a market steal. With a height of 2m, it offers plenty of room for to store your food and its insulation makes it stay cool, should there be a power cut. Overall, great value for money. AEG Ovens – The A* range of sleek looking ovens from AEG fit in well with any kitchen. The multifunction options offer precise heat circulation, temperature control and a self-cleaning mode to boot. Even under demand they stay cool to the touch with their IsoFront door.